Something magical happens when the Little People enter a room. Interacting with audience members is where they truly shine. Each polished performance includes time for the Little People to mingle and, once in a while, make a few unsuspecting guests a little part of the show. With over 100 shows from which to choose, the little People strive to bring fun to all ages with humor, music and kindness. Those Funny Little People are pleased to offer a growing menu of shows created especially for our many Senior Citizen audiences. "If you are looking for wonderful entertainment for your residents, their families and staff there is no better act to book than Those Funny Little People. They delight audiences, bring smiles, laughs, and pure joy to everyone they meet." 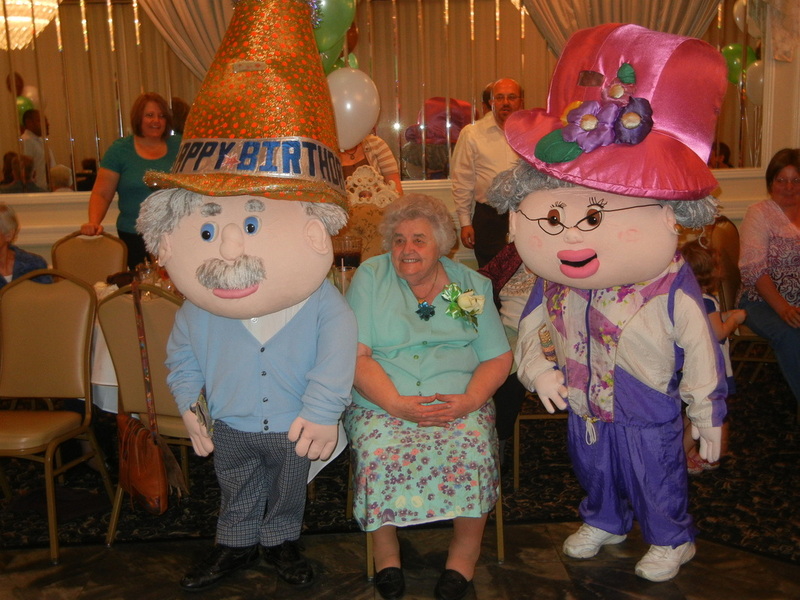 Let our Old-timers, Fred and Maxine, drop by to celebrate your residents birthdays. Howard and Jessica are at it again with a little history of Valentine's Day, a romantic storyline, and lots of love for everyone. Songs include Cupid and Young at Heart.